Each Wednesday we’ll answer the on-going question: “What do I wear with these?” It’s a question we get quite often here at the shop and we love giving suggestions when helping our customers. This week we feature the Bed Stu Falcon. This week we are featuring a smart casual oxford by Bed Stu. The “Falcon” has a traditional wingtip design, but with its contrasting laces and natural crepe sole, it gives a modern twist to this would-be classic . This shoe would look great with a military style jacket, a classic cardigan or striped t-shirt and chinos. Complete your look with a stylish pair of shades and a handsome bag to care your daily necessities. 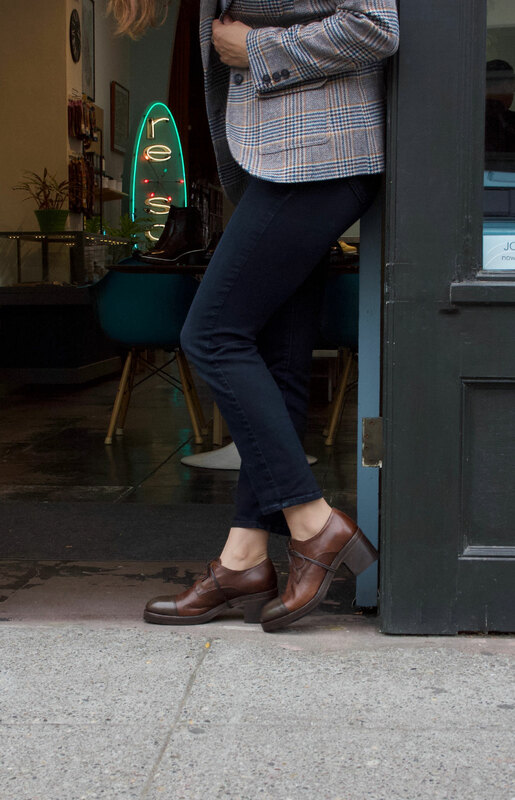 > Bed Stu Falcon oxford in black leather with natural crepe and leather sole. > Aunts and Uncles “Raf” Post bag, in dark brown leather. Great pieces to add to your wardrobe! !